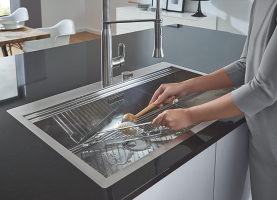 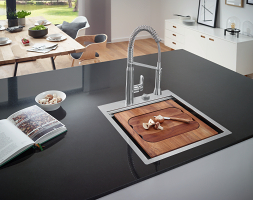 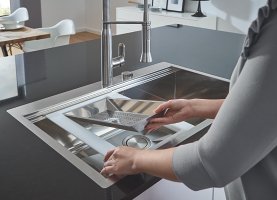 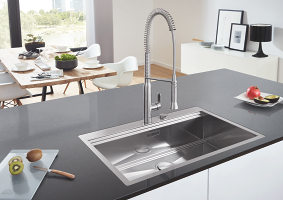 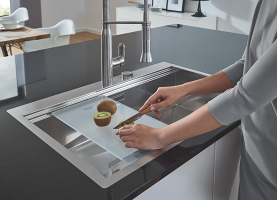 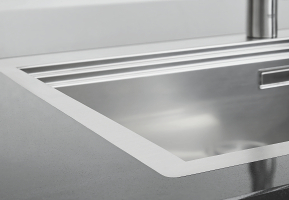 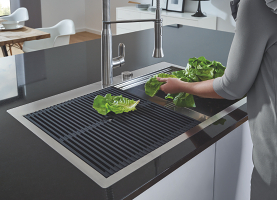 A premium kitchen sink in terms of design and durability, the K800 will create a clean, contemporary look. 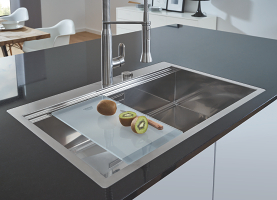 Chose from a 1 or 2 bowl option, flush-mounted or built-in to suit your space. 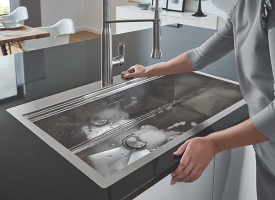 The diamond-shaped base aids easy drainage while the automatic waste with stylish basket cover makes this sink a practical choice too.